Decorate any party with discount party supplies from partypro.com. Party planning is made simple with Partypro's decoration selection. If you are looking to decorate a lawn with flamingos or looking for a celebrity life size standup you will find it right here! All of the decorating seasons are found right here, we have just added new party buntings to our category of decorations. Scene setters are a must if you are looking to cover large walls with a theme for a Mardi Gras party or even seasonal design for a Christmas party . Solid colored tableware can also be found to match the occasion. And find bulk party decorations in our Gold bulk warehouse too. Jointed Birthday Banners and Birthday Signs - Find Bulk Banners Too! Lawn Signs for Baby Shower, Graduation Lawn Signs, The Party's Here Lawn and Yard Signs and More! Very Cool Party Floor Signs Shaped Like a Caution Cone - Find Bulk Signs Too! Over 22 International Flags for Your Olympic Party or World Event! 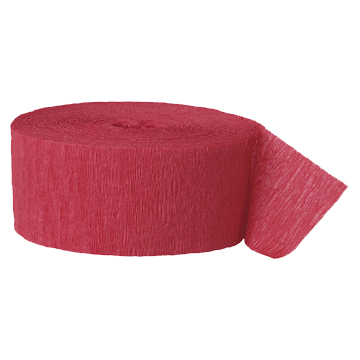 Gossamer Rolls in 100 Foot Lengths Come in Red, White, Black and Blue - Quantity Discounts are Offered Too! Inflatable Numbers, Inflatable Letters and Inflatable Greetings for Birthday Parties and Baby Showers - All Inflatable Letters are 14 inches Tall and Come in 5 Colors! Invite a Lifesized Standup to Your Next Party - Cardboard People include Everyone From Ariel to WWE Cardboard People! Over 350 Metallic and Foil Party Decorations - Includes Metallic Curtains, Drapes and Skirts - Links to Bulk Metallic Decorations Too! Includes Fabric and Plastic Party Bunting for Patriotic, Hollywood Events - Party Bunting Available in Bulk Quantities Too! center> Over 25 Photo Props to Chose From - From Awards Night to Western Themes - A Great Sovenir from the Party!